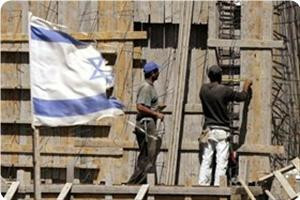 The occupation authorities ratified the construction of hundreds of new settlement units, and approved the resumption of the construction works on the Apartheid Wall around Jerusalem, a report issued by the Information Office of Hamas movement revealed. 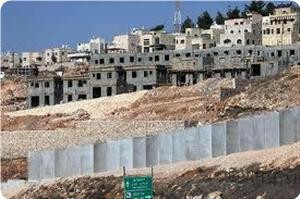 According to the report, the occupation is continuing at an accelerated pace its settlement projects and its Judaizing plans targeting the Palestinian territories and the historical monuments in the occupied West Bank and Jerusalem, referring to the ratification on a plan to establish a military academy on the Mount of Olives, near al Muttalaa Hospital, by the Zionist District Committee for Planning and Building in Jerusalem. Such project aims at reinforcing the status of Jerusalem as the capital for the Zionist entity and strengthening the Israeli control over eastern Jerusalem, through the falsification of the facts, the report added. The report revealed that excavations are taking place at the Mughrabi Gate's road, at Al Buraq courtyard in Al Aqsa Mosque, noting the demolition of Jerusalemites' houses and shops. It also referred to the Zionist settlers' attacks against the mosques as well as homes and properties of the Palestinian citizens. The Israeli government has announced it was inviting bidders for the building of 500 new housing units in the occupied West Bank. The Hebrew radio said on Monday that the government thus retracted previous promises not to build new housing units in the West Bank. Reliable sources pointed out that the step fell at a time premier Benjamin Netanyahu was trying to win support of the settlers. They said that the step might cast its shadows on the current visit of American secretary of state Hillary Clinton to Israel. The Israeli government described the step as a “national priority” and would have an impact on development and on attracting more people to live there. The Israeli regime plans to turn the Palestinians in the occupied West Bank into a minority on their homeland, a political analyst tells Press TV. “The Israelis are trying to… turn the Palestinians into a minority,” said Khalil Shaheen, a political analyst in the West Bank, in an interview with Press TV on Sunday. Shaheen made the comments a day after Palestinian media reported on July 14 that the Tel Aviv regime had decided to build 100 new units in the illegal settlement of Modi’in Illit and another 130 units in the illegal settlement of Jabal Abu Ghuneim in the West Bank. “All these steps and plans to expand settlement construction are connected to each other,” Shaheen added. On June 6, Israeli Prime Minister Benjamin Netanyahu ordered the construction of 300 units in the illegal settlement of Beit El in the West Bank. A Hebrew newspaper Kol He said Friday that the Israeli district committee for planning and building approved a plan to build about 1,000 housing units for Jewish secular and religious nationalists in Modi'in settlement. According to the newspaper, the new units will be established on an area of 370 dunums of land and its northern borders will be a park. It added that a new neighborhood called Nufem will be created in the future in this area. The newspaper also affirmed that the Israeli administration of lands intends to build 130 housing units in Har Homa settlement in the Mount of Abu Ghuneim as part of a wider project aimed at building 1,000 units. Israeli settlers are establishing yet another new settlement outpost in the Jordan Valley. With the support of the Israeli Prime Minister, Benjamin Netanyahu, they are taking over a disused army base close to two Palestinian communities and claiming the land for themselves, just as the notorious Maskiyyot settlers did in 2002. In recent weeks the settlers' contractors have started to renovate the buildings of the disused Gadi military base, in the Abu Al Ajaj area of al-Jiftlik village, in the heart of the Jordan Valley. These new colonialists are clearly working closely with the settlement run 'Jordan Valley Regional Council' and the neighbouring settlement of Massu'a. One of the most aggressive colonies in the Jordan Valley, Massu'a settlers are responsible for a series of land grabs whereby they have violently stolen land from Abu al-Ajaj on three separate occasions in recent years. The Israeli government has quietly agreed to grant subsidies to build more than 500 new homes in the West Bank, backtracking from a promise earlier this year to deny these incentives to the settlements, The Associated Press has learned. The planned construction, at a time when Prime Minister Benjamin Netanyahu is trying to shore up support among settlers, has enraged the Palestinians and could cloud a visit starting Sunday by U.S. Secretary of State Hillary Rodham Clinton as she tries to re-energize moribund Mideast peace efforts. The housing units are benefiting from the government’s designation of the settlements as “national priority” areas — a status normally reserved for low-income cities and towns where the government wants to encourage development and lure people to live. In January, the Israeli Cabinet identified more than 550 communities, including 70 West Bank settlements, as national priority areas. The list drew immediate protests from the Palestinians, who view the West Bank as the core of a future state. 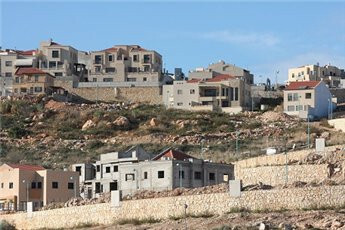 The U.S. demanded an explanation of the settlements’ inclusion. Facing international pressure, Israeli leaders quietly held a second vote in a meeting conducted by telephone to exclude the settlements from the measure. Shortly after, Netanyahu told a news conference with visiting U.N. Secretary-General Ban Ki-moon that the initial Cabinet decision was a mistake. According to Israel’s Housing Ministry, however, the country’s political leaders have already approved subsidies for one small project of 24 homes in the settlement of Efrat, just south of Jerusalem. And nearly 500 other homes in Efrat and two other settlements, Beitar Illit and Ariel, are now in the pipeline to receive the incentives, which include a discount of up to $27,000 for infrastructure development costs. Ministry spokesman Ariel Rosenberg said it is not clear how many of these homes will be built because the construction bids for the 500 homes have not closed. He also noted that subsidies are also available for projects in hundreds of other communities inside Israel proper. But neither the Palestinians nor the international community see things that way. Israeli settlements in the West Bank and east Jerusalem are at the heart of a 3-year-old deadlock in Mideast peace efforts. The Palestinians claim both areas, captured by Israel in 1967, for a future state. But with more than 500,000 Jewish settlers now living in these areas, the Palestinians say their dream of an independent state is fading as it grows tougher to partition the land between Israelis and Palestinians. 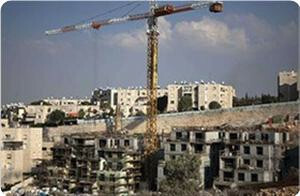 The Israeli government has endorsed the construction of 20,000 new housing units in the vicinity of occupied Jerusalem, Jad Isaac, a settlement expert and director of Areej institute for applied sciences, said. Isaac said in a statement on Sunday that the Israeli government was merging minor settlements into bigger entities within an apparent scheme to control 70% of area C in the West Bank, which constitutes 60% of the overall West Bank area. He said that Israel was trying to buy time in a bid to create a new de facto situation on the ground, exploiting the USA’s preoccupation with its elections and regional changes to draw its final borders with its bulldozers. PLO Executive Committee member Hanan Ashrawi said that “ it is of the utmost urgency for Europe to take bold initiatives and concrete steps to counter Israel’s impunity and its prejudicial measures on the ground before it is too late,” Sunday said a press release by the PLO department of cultural and information. “If there is no intervention to curb Israeli violations, Israel will succeed in destroying the prospects for peace by destroying the chances of establishing an independent Palestinian state within the 1967 borders and with East Jerusalem as its capital,” She added. “It is evident that the US-Israel strategic alliance is undermining the standing of the US and the role of the Quartet in peacemaking,” she said. “The main impediment preventing us from developing our own economy and national institutions remains the occupation, a system of direct control and enslavement, whereby Israel is violating all Palestinian human rights and freedoms and confiscating our land and resources, while the siege and ethnic cleansing of Jerusalem continue,” concluded Ashrawi. She discussed the latest political developments in Palestine, as well as issues of mutual concern with Belgium. The meeting also stressed the continued Palestinian-European coordination and cooperation and enhanced consultations on political, economic and international issues of mutual interest. The Arab League strongly denounced the Israeli government for legitimizing its settlements that were built on Palestinian lands in the West Bank, describing such a step as legally invalid. In a press release, assistant secretary-general of the Arab League for Palestine affairs Mohamed Sabih condemned Israel as a "rogue state" using its judiciary to serve its expansionist and aggressive goals. Sabih noted that the pace of settlement activities rose this year by 19 percent compared with last year. The official also deplored the Israeli government for giving its settlers the right to own Palestinian land in the West Bank and granting them title deeds to these land lots, describing it as a violation of international law. "The settlement activities left nothing to negotiate on and torpedoed the two-state solution, so there is no chance left to talk about a meaningful peace process or the return to the negotiation table in light of this situation that needs a firm international position against Israel before it is too late," the Arab League official said. Al-Aqsa Foundation for Waqf and heritage said that the Israeli occupation launched new construction projects in the south-western side of al-Buraq Square. 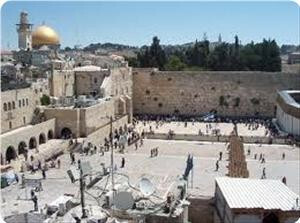 The Foundation said in a report on Thursday that the occupation was planning to build about 20 units of public toilets for the visitors of al-Buraq Wall - which the occupation, falsely and slanderously, calls the Wailing Wall. Al-Aqsa Foundation further revealed, following field visit by its crew to Mughrabi quarters, that the occupation, which is continuing its secret excavations and demolitions on the Mughrabi Gate's road, aims at turning the remains of demolished mosque and school into a Jewish synagogue. The Zionist occupation is planning to penetrate al-Aqsa mosque through a new tunnel, it is constructing under the ground down the Mughrabi Gate, and to penetrate al Buraq Mosque that is adjacent to Al-Aqsa mosque, the Foundation added. 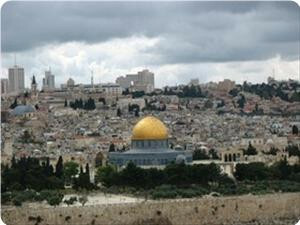 It described the occupation's procedures as a direct threat to and a serious attack on al Aqsa mosque, calling the Islamic nation and the Arab world to take serious action in response to the events and threats facing Al Aqsa Mosque and Jerusalem. DemocracyNow.org - An Israeli government committee has affirmed the country's self-proclaimed right to build settlements throughout the occupied West Bank, and recommended the legalization of dozens of settler outposts that have not received government authorization. The International Court of Justice has already ruled that all of Israel's West Bank settlements are illegal, but Israel has said it would only consider dismantling scattered outposts that it has not officially approved. 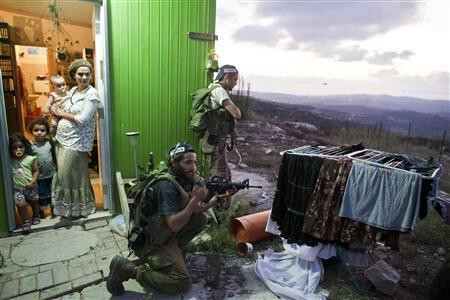 The settlers have used the outposts to seize even more Palestinian land than has already been taken. We host a debate between Jonathan Tobin, Senior Online Editor of Commentary magazine, and Ali Abunimah, co-founder of The Electronic Intifada. A special committee appointed by Israeli Prime Minister Benyamin Netanyahu to look into the "legality" of Jewish colonies in the West Bank has concluded that Israel has a legal right to grab Palestinian land, irrespective of the rule of international law and any other considerations. The committee, made up of highly fanatical Talmudic-minded figures, such as Edmond Levy, who opposed the dismantlement of Jewish colonies in Gaza in 2005, argued that the West Bank was not really an occupied territory and that the Israeli state could legally steal as much of that territory as it sees fit for meeting the needs of Jewish settlers. The occupation of the West Bank, including East Jerusalem, by Israel is not recognized by the international community, including the United States . The drafters of the committee recommendations belong to a Jewish school of thought who teaches that the ancient or Biblical land of Israel covers much of the Middle East, including the entirety of Palestine, Syria, Lebanon as well as parts of Egypt, Iraq and Saudi Arabia. Moreover, the compilers of the committee report seem to be racist to the hilt, as they paid virtually no attention to the very existence of the Palestinian people, treating them as if they didn't exist. According to the Israeli media, the only positive "gesture" the report compilers made toward the Palestinians was a recommendation that Israeli army officers treating Palestinian litigations pertaining to land grab issues wear civilian cloths instead of military uniforms in order to give an appearance of formality and justice. There is no doubt that the latest measure on the part of the Israeli government represents a pornographic breach of justice. But so what? Israel has always behaved and acted this way, with unlimited and unrestricted backing from its guardian-ally, the United States. In the final analysis, Israel itself is a gigantic war crime and crime against humanity. Hence, the latest measure, although it goes beyond chutzpah, should be viewed within the normal order of things, since it is characteristic of a criminal state that is not unlike history's worst criminals. 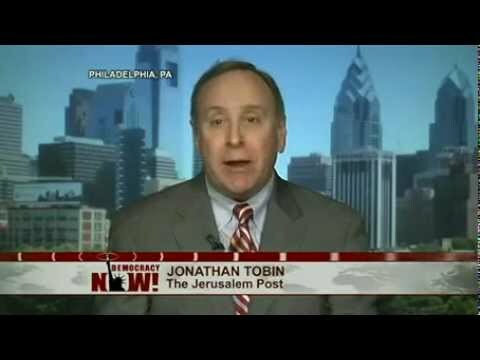 Indeed, for the Israeli government to ask a committee of settlers and Jewish supremacists to draft recommendations that would determine Palestinian rights, including the right to life and survival, is very much akin to Nazi Germany asking hard-core Nazi ideologues to preside over a body that would deal with the "Jewish problem." Moreover, the legalization of the land grab of Palestinian land at the hands of European and Khazari invaders and other Jewish land thieves coming from distant parts of the world, such as Ethiopia, Peru and India, shows that the lebensraum concept is as Jewish as it is German. There are small difference related to the details. The Germans wanted a wider living space in the east, whereas genocidal Jewish terrorists claim the land of Palestine belonged to their ancestors three or four thousand years ago. Would any of you cede his or her house if someone came to you, insisting that the house belonged to his ancestors several thousands of years ago? Yet, this is exactly what these gun-wielding, kippa-donning terrorists have been doing for more than four decades, terrorizing unprotected Palestinians, stealing their land, and shouting Mavet le-Arabim or death to the Arabs. A few years ago, Israeli spokespersons would tell unsuspecting western diplomats that the settlers were a marginal group of fanatics who in no way represented the collective conscience of the Israeli society or indeed the Jewish people. Yet, the settlers have come to represent the overall conscience and soul of Israel. They, not only tightly control the government and Knesset, but have been effectively able to take over the Israeli army and police, rendering Israel a de facto fascist state. Don't misunderstand me. The fascist epithet is not my invention. It was used by an Israeli cabinet minister who remarked two years ago that "we already live in a fascist state." The Israeli Jewish society continues to drift toward more brazen forms of fascism and more violent forms of jingoism. This augers very bad for non-Jews as well as many liberal Jews who still harbor some modicum of rectitude and human decency. But implosion and ultimate demise will be the sure kismet of fascist societies which divide humans into children of a greater god and children of a lesser god, or sons of light or sons of darkness. The Israeli designs against the Palestinians are quite nefarious so much so that we can perfectly refer to the Zionists as the Nazis of our time. I am not claiming that Israel has murdered six million Palestinians. But then, does one have to kill six million people in order to qualify for the Nazi epithet? Stalin and his mostly Jewish aides did kill far more Ukrainians than Hitler killed Jews, yet we don't call him a "Nazi." None the less, the attempted annihilation of the national existence of a given people is a Nazi act irrespective of any academic hallucination to the contrary. More to the point, the attempted annihilation of an ethnic or cultural or religious community becomes brazenly diabolical especially when brashly racist "justifications" are used to rationalize the criminal act. Needless to say, Israel and Nazi Germany look very much like Tweedledum and Tweedledee as far as racism is concerned. Germany invoked the German master race as well as the Übermensch/Untermensch concept. The Zionists are invoking the Chosen people mantra which really justifies all acts of aggression and criminality against non-Jews even to the point of viewing them as beasts of burden created solely in order to serve the master race. Some Chabad rabbis have issued an edict that would allow a Jew to murder a non-Jew in order to harvest his organs in case the Jew needed one.! The Germans spoke of lebensraum while the Zionists speak of settlements, arguing that Israel's borders end where Israeli tanks stop. And sheer military might is the ultimate god of both schools of evil, Nazism and Zionism. Nazism has gone into oblivion, finding its way to the dust bin of history. I have no doubt that Zionism will eventually meet the same fate. Seventy years are nothing in the annals of history. In a world where every thing can be denied, there are forces undeniable. And on Earth where nothing is sure, we have our certainties. And the demise of Israel is undoubtedly a historical certainty. The Islamic Resistance Movement "Hamas" confirmed that the occupation's attempts to falsify the historical facts of Palestinian land are obvious and void, and blatantly violate international laws, especially the Fourth Geneva Convention of 1948, and the decision of the International Tribunal in The Hague in 2005. An official source in the movement said in a statement on Tuesday that the report of the Zionist "Levy" Committee, which was formed by the occupation government's Prime Minister in an attempt to legitimize the establishment of outposts and settlements on occupied Palestinian lands, is a violation and flagrant defiance of international law, stressing that it "will never change the Palestinian Landmarks and history." The source called all the Palestinian forces to unite facing this report and to take practical steps against the occupation settlement policies, instead of the futile and useless negotiations. It also called the Arab League and the Islamic cooperation Organization to take vigorous measures to prevent the occupation from proceeding with its Judaizing projects that are based on occupying the Palestinian lands and displacing its inhabitants. Presidential spokesman Nabil Abu Rudeineh Tuesday condemned the recommendations of a committee formed by Israel’s Prime Minister Benjamin Netanyahu, also known as the Levy Committee, declaring Israeli settlements and outposts in the West Bank legal. The Levy Committee, headed by former Supreme Court vice president Edmond Levy, concluded that Israel is not an occupying force in the West Bank and recommended the annulment of several laws, High Court of Justice Rulings and procedures in order to allow Israeli settlers to live in the West Bank. Abu Rudeineh stressed the Palestinian leadership’s position; resuming negotiations requires Israel to recognize the entire 1967 borders and redeem all settlements illegal, adding that the Palestinians will not sign any peace agreement with Israel with the existence of any settlement on Palestinian land. The legally non-binding report has been submitted to Netanyahu, who intends to submit it to a ministerial committee on settlement affairs for discussion and consideration, according to a statement issued from his office. 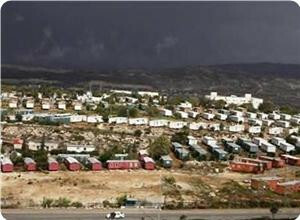 Israeli settlements and outposts are considered illegal under the international law. If the Israeli government approved the committee’s recommendations and granted settlements legal status, this move will deal a major blow to hopes of a future Palestinian-Israeli peace agreement and provoke international refusal.